SOTA News 2004 SOTA Instruments Inc.
We have sold out of this unit. See October 2003 for the reason behind our decision to discontinue. We now have CE certification for Europe on 3 units! This is a great step forward allowing for authorized sales through Retailers in the European Union. We have the following used units in stock. Used units have new accessories and 2-year warranty. These are available only while quantities last. Please call or e-mail us if you are interested. The Magnetic Pulser, Model MPG2 $134.50 US, The Silver Pulser, Model ZBB2 $79.00 US, The Zapper, Model ZHC3 $68.00 US. We have found that pure silver electrodes on our probe cords work exceedingly well at reducing skin irritation. 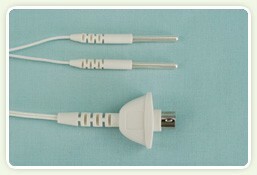 You now have the option of purchasing .9999 pure fine silver probe cords as well as copper probe cords. We have now completely sold out of the Harmonic Pulser so they are officially discontinued. Government regulations prevent us from selling this unit. Thanks all for your tremendous support and excellent feedback on this remarkable unit.